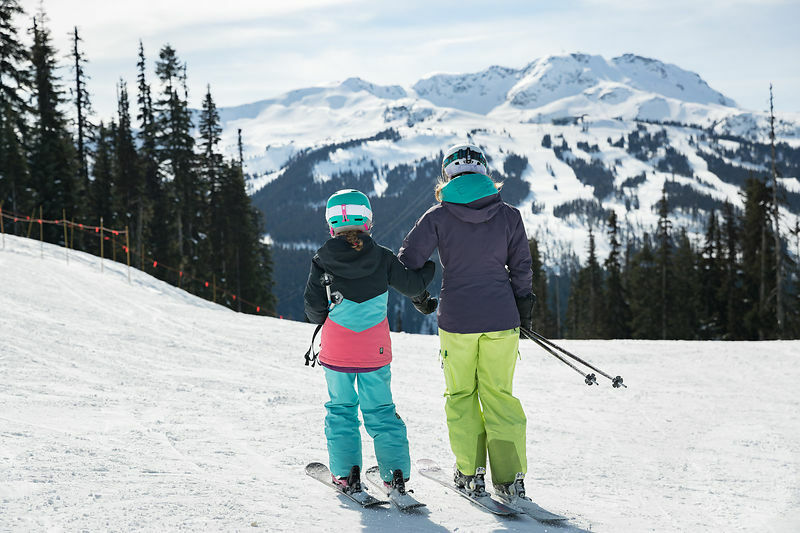 You can breathe a sigh of relief to hear that there is no need to bring equipment for the whole family to Whistler Blackcomb. The simple way to upgrade your mountain experience is by renting the latest technology best suited to the constantly changing conditions on the mountain. With rental equipment you can use powder skis in the morning and switch to a pair of carving skis in the afternoon at no extra cost. You can even swap from a snowboard to a set of skis. Further benefits include the guarantee of the newest technology that is freshly tuned every day. During the peak season rental shops in the village are open as late as 9pm so there is plenty of time to squeeze this into the tight family schedule. Skip the baggage fees and give kids less to carry when travelling. 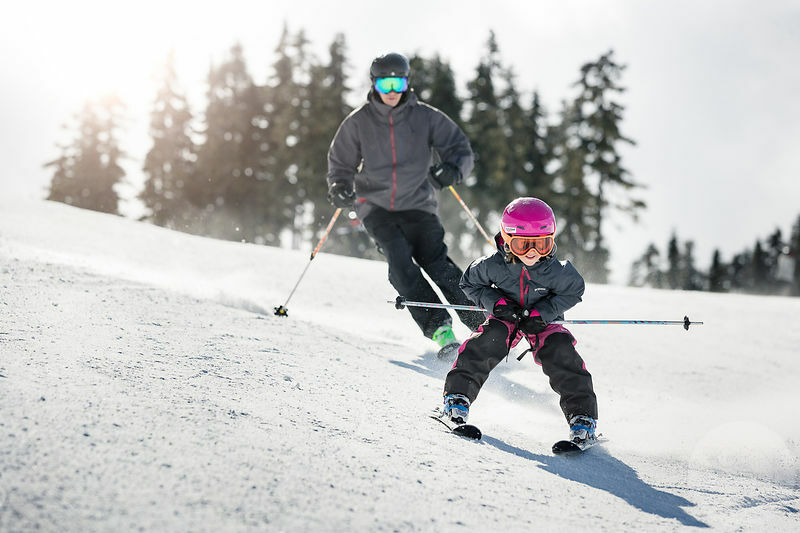 This season you can add time on the mountains and skip the ticket line every morning by reloading tickets for the family online with an EpicDay pass. Don’t forget to save money by reserving rental equipment in advance and you’re guaranteed the lowest price on lift tickets by planning ahead too. Family friendly rental equipment is available PHOTO: Robin O’Neill. Document on mountain memories for future years with the newest Hero camera released this year. This tiny camera has huge capabilities for entertaining both younger and older members of the family. The latest protective outer shell is waterproof, breathable, windproof and designed to increase enjoyment of the terrain by keeping the family comfortable for longer. Whistler Blackcomb has testing winter weather and this jacket is proven to withstand that test. The most recent baselayer from Icebreaker is 100% natural merino. Maximum comfort, warmth and durability from the new and improved fit. No one has ever regretted a spare pair of socks in their backpack so you’ll want two pairs each for the family. It’s lucky they come with a lifetime guarantee. The icebreaker brand are designed to keep feet warm, comfortable and dry while allowing maximum enjoyment of the terrain. Features include Achilles support, seamless toe closure to reduce blisters and an anatomical toe box for unique left and right. Reviews for this helmet are nothing short of excellent and you want to protect precious family heads with the best. The multi-award winning QST skis are improved once again for 2018. Performance and stability anywhere on the mountain. Salomon continue to push boundaries on the mountain with the next generation of freeride capability. SHIFT is a combination of the performance of an alpine freeride binding combined with the touring efficiency of a pin (low-tech) binding. This insulated Gore-Tex combination with jacket-to-pant integration will keep you insulated and dry all day. Four pockets in the pants and the jacket includes wrist, internal, hand and zip pockets. The bonus benefit is plenty of space for snacks and gear for the family. Somewhere to store everything that won’t fit in your pockets? The Dakine backpack comes in multiple sizes and is recommended by skiers and snowboarders from the backcountry to the groomed runs. More Gore-Tex to keep you waterproof and insulated from head-to-toe. These gloves feature wrist attachments so they’re not easily lost by young (and older) members of the family. Proudly Canadian Kombi hand and toe warmers last for eight to ten hours. A real boost on days where below freezing is an understatement. 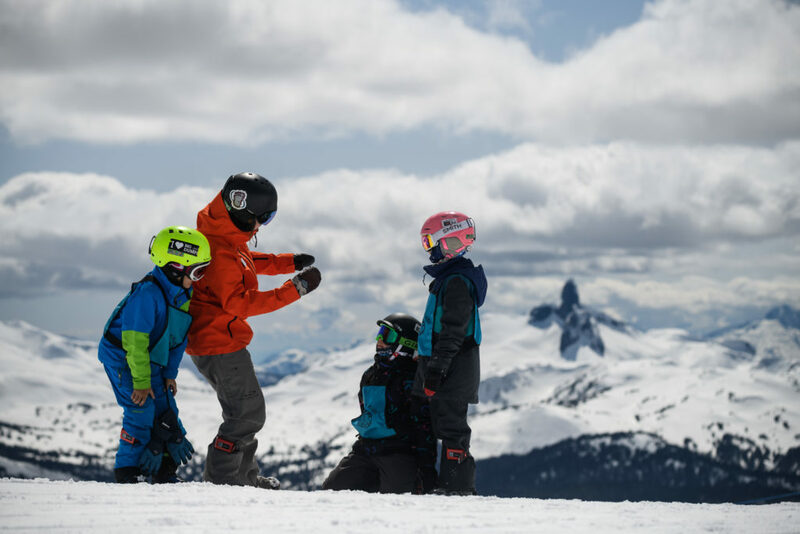 Available: All Whistler Blackcomb stores. Soft comfort for the precious family heads before, during and after the slopes. Made from 100% recycled polyester. Perfect. Plan your route using the resort map, with real-time updates on conditions and lift status on the mountain. Available: download online before your trip or on the mountain using free Wi-Fi powered by TELUS. Reserve rental equipment and lift tickets for the family online or by calling 1-800-766-0449.